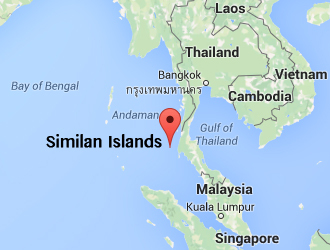 Welcome on the official website of the Mu Ko Similan National Park of Thailand. Koh Tachai Island is located at the northern most tip of the Similan National Park. It is one of the latest additions to the National park area together with the island of Koh Bon. The island measures 12 square kilometers and is located on 54 km from the Baan Nam Khem Pier. 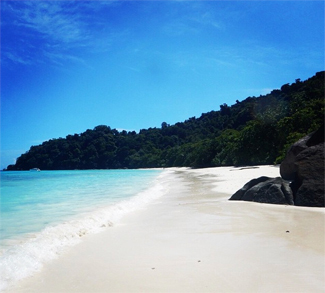 On Koh Tachai you will find beautiful white beaches and azure crystal clear waters all around it. The Andaman Sea around it is very suitable for SCUBA diving and snorkeling. 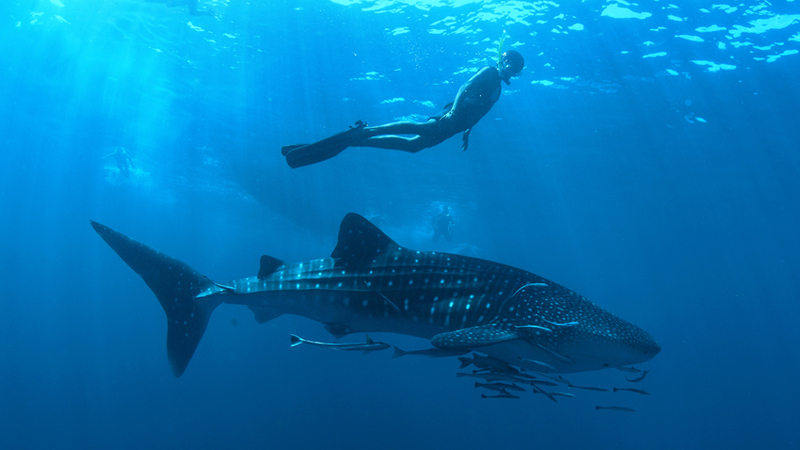 The mighty Whale sharks and Manta rays are often spotted here feeding in the rich waters. This extravagant marine life lead to the nomination of the National Geographic Society as one of the top 10 diving destinations in the world. The Island is open for tourism from November to April. 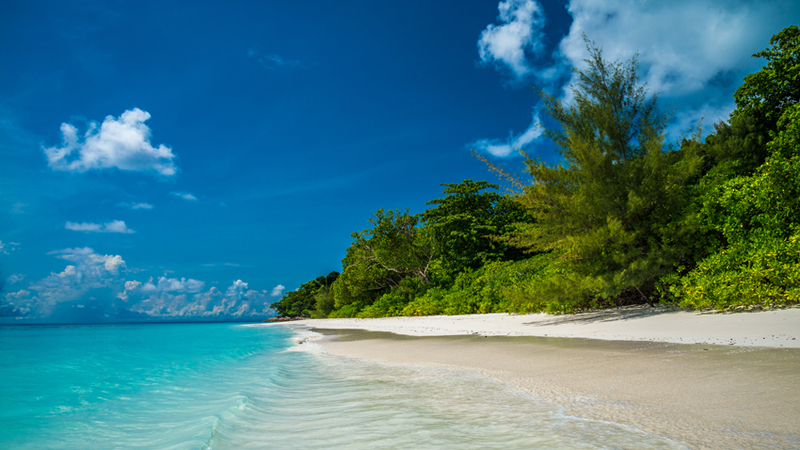 Koh Ta Chai is located between the Surin Islands and main Similan Archipelago. It is famous for its pristine diving conditions and tranquility because of its remoteness. Koh Tachai Island is a small island that offers beautiful beaches and can be reached by sailboat or speedboat. The island offers a fresh water source that contributes to the island accommodations that are fairly basic. You can stay overnight in a campsite, which features a small restaurant and opportunities to explore the island. The main activities on and around the island are Scuba diving, Snorkeling, enjoying multiple nature trails along the coast and through the jungle and relaxing on the beach. The rainforest is ancient and offers a variety of wild life nowhere else to be found. Koh Tachai’s original name was Koh Bua; ‘Bua’ which is the name of the unique Lotus flower that used to grow in the island’s swamps before the tsunami of 2004 hit the island. Unfortunately the Lotus flowers, which grew in the brackish water, were wiped out and the island was renamed after one of the first fishermen who came to the island after the tragedy: Uncle Chai which is translated to Thai as TaChai. Diving in Koh Tachai is possible for all levels; it is even possible to train for your PADI license. Multiple Diving centers offer various PADI courses up to Advanced Open Water. The Island offers a stunning variety in marine life because of its unique location. The shallow bays with calm water give protection to the smaller fish and are perfect for dive training. Moving to the rougher East coasts of Koh Tachai Island the water conditions are still easily accessible for every diver but they offer some extra perks such as spotting leopard sharks resting on the bottom and Manta Rays feeding. When you have your PADI Advanced Open Water Divers certificate you can head down to the most southern part of Koh Tachai. Here you while find “The Pinnacle” which is considered one of the best diving sites of Thailand and the Andaman Sea. You can spot Whale Sharks, Leopard sharks, Napoleon Wrasse, Barracudas and many more mighty fish of the sea. 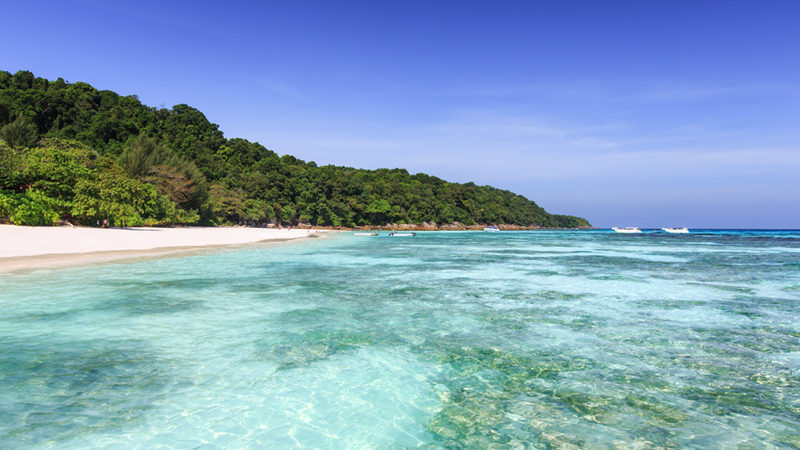 The only beach on Koh Tachai is about 800 meters long and faces east like on most of the Similan Islands. The rainforest reaches out and gives shade if the sun is getting to hot to endure. When you walk all the way up north you will be able to a small jungle trail that takes you to the Western side of the Island. Within 10 minutes you are in a totally different world full of rocks and have a beautiful view over the Island and the Andaman Sea. When you are staying for the night in Koh Tachai Island you are able to join a guide on a daily inspection of the island by walking a nature trail nearby the camp. The guide will teach you things about the island and you can spot various animals that inhabit the island such as land crabs, hermits, Nicobar Pigeons and some reptiles. While Island hopping is common in the Similan Islands the fastest way to get to Koh Tachai Island is via Koh Phra Thong (close to the mainland), Baan Nam Khem Pier, Khao Lak (probably the best option) or Phuket (get up at 06:00 a.m. an early call!). You can book various organized day trips from these places. You can also visit the island as a Family since the water conditions are perfect for little kids. Read here for more information on how to get to Koh Tachai Island. Prefer Dutch? Read more about Thailand here. Similan Islands Copyright © 2019.